The Transformation Mandala has two, four, five and six point symmetry all superimposed to make one. That is how transformation works; it looks at something really complicated (like life) and changes the way we see it. Get this…. right right right, we can’t always change the thing itself, but we can surely transform the way we see it. We can transform how we talk about it, hold it, or allow it to hinder us. 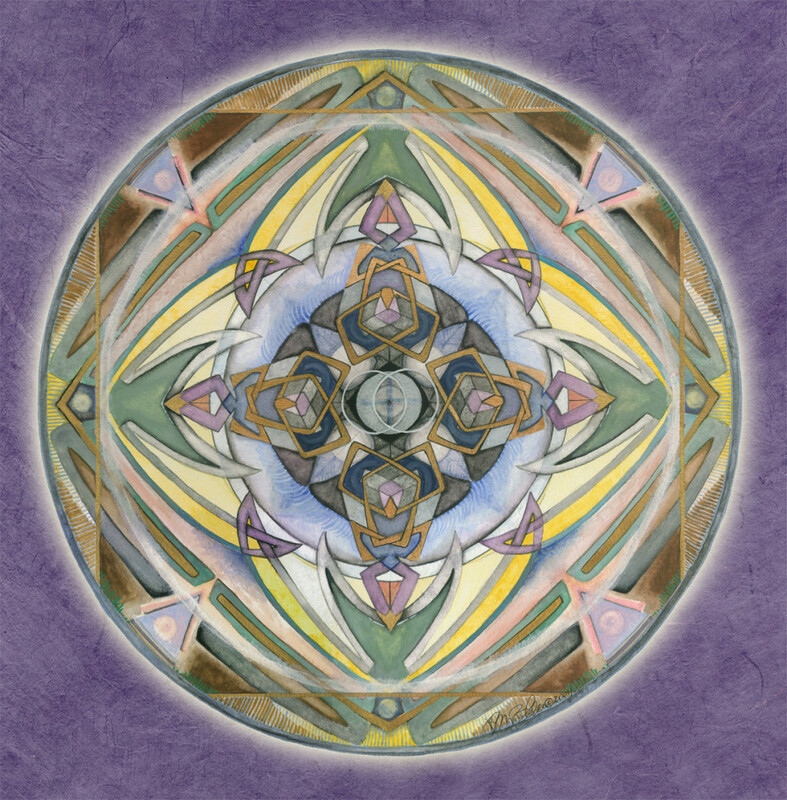 This mandala is a fire burning through self imposed limitations! It is a surety that some higher order can handle the situation, no matter how complex. It is the courage to proceed on faith, without yet being able to see the bigger picture that only looking back on it will provide. 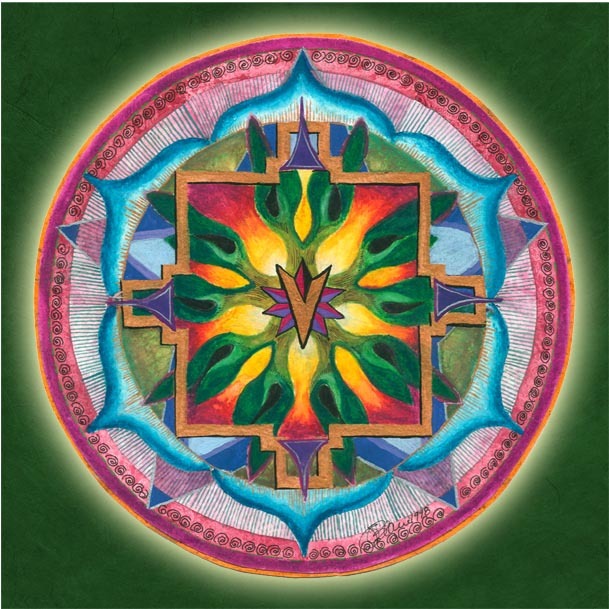 The Healing Mandala says “healing is the process of releasing resistance.” What does this mean? Is that just a bunch of work, something that needs to be figured out using great consternation? THAT would defeat the purpose, wouldn’t it? Releasing resistance means, in its most simple form, that we stop clinging to all our various and quite prodigious thoughts that everything is not all right. We are so sure it is not all right, that we are not all right. Look at all the evidence we can produce! At times, the evidence appears quite profoundly to be in-your-face not all rightness. But here’s the catch: if we give the evidence the power, we will never see the Truth. Like Jesus, (yes! I said LIKE JESUS) we are “in the world, but not of it.” It is what we are really “of” that maintains our wholeness, our perfection, our true all rightness. Keeping in mind that it is the PROCESS of releasing resistance, which means that it is a daily practice, we stop complaining, stop judging all of our perceptions and experiences, we start practicing gratitude and start trusting in what made us in the first place, and slowly we start to see more clearly what is real and what is just the habitual (but quite convincing) suffering of the Earth Dream. We are reaching for the idea that we are already healed, that we were actually never broken in the first place!